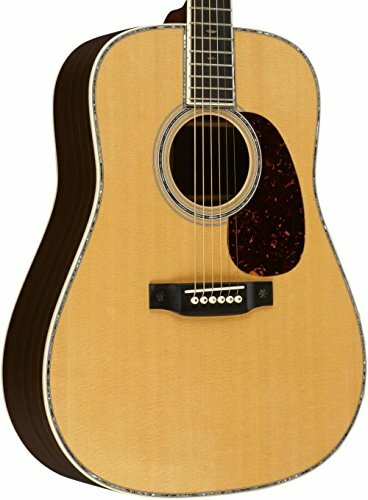 Best Acoustic Guitar 2019 – Top Picks & Comparisons! This is a quite interesting topic… An acoustic instrument is, generally speaking, an instrument that doesn’t require any amplification in order to be heard. Be that as it may, an acoustic guitar is not as a simple term as you might think. 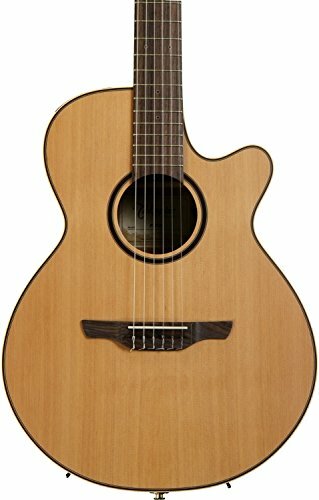 You see, there are a few different types of acoustic guitars and each one of them can be viewed as a different instrument. This is why in this particular text, we are going to show you what types of acoustic guitars are there and review the best acoustic guitar of each type. Solid sapele back, mahogany neck and rosewood fingerboard with wood "dot-in-dot " inlays. Gold tuners with amber buttons. We all know what guitars are and we all know what acoustic guitars are? Right? But there are more types of acoustic guitars than you might think. When we talk about acoustic guitars in the narrowest sense, we still have two types of “basic” acoustic guitars – steel-string and classical guitars (also known as nylon-string guitars). Classical (nylon-string) guitars feature, as the name suggests, nylon strings. These guitars are made with the finger-picking technique in mind. They are usually played in seated position. You can utilize the classical guitar for many different genres and styles. However, they are most known for their use in classical music. The classical guitars have wider necks and this is very convenient since you can play chords, scales, and arpeggios much easier than on different types of the guitars. There is also a sub-type of a classical guitar called – flamenco guitar. The flamenco guitar is a bit lighter and it has a spruce top usually. The flamenco guitar also features a tapping table on its top. This is due to the fact that flamenco music requires some tapping with fingernails over the guitar’s top. Steel-string guitars are also known as flat-top guitars. They are very similar to classical guitars with the prominent difference of a larger body and reinforced thinner necks. And steel strings, of course. The structure of these guitars is much stronger than the structure of a classical guitar. They are louder and they sound significantly brighter. Steel-string acoustic guitars are known to be used in many different genres of music, including jazz, pop, blues, country, rock, and folk. You can find them in many different shapes but the most common one, to this day, is a dreadnought shape. Often referred to as the semi-acoustic guitars, these are basically acoustic guitars with the addition of a pickup. However, the pickups used for the AE guitars are not the same ones used for electric guitars. The pickups you can find on semi-acoustic guitars are made to reproduce the acoustic sound over an amplifier. Most commonly, they have the piezo pickups and they also feature an onboard preamp and tone control that makes your life easier. Now, these are some special guitars. The archtop guitars are steel-string guitars, basically. However, their top and back are made of a solid piece of wood and they are not flat, but curved instead. You can say that these guitars follow the construction rules used in the production of violins. The design was first implemented by Orville Gibson, and his colleague Lloyd Loar introduced the signature f-hole design which was inspired by the violin look. The archtop guitars have large and hollow bodies similar to those of the violins. Most of the modern guitars of this type now have pickups and are both acoustic and electric guitars at the same time. The archtop guitars gained an extreme popularity amongst country and jazz musicians. These guitars don’t look anything like regular acoustic guitars. Instead of a sound hole, resonator guitars have something that looks like a big round plate. And this big round plate is an essential part of the guitar. It conceals the cone of the resonator. The bridge on these guitars is connected to the cone in its central area. When the strings vibrate, the cone also vibrates and it amplifies the vibration and projects them through the holes on the big round plate. The old-school resonator guitars used to have 3 cones, but nowadays they usually have just one. These guitars produce very loud and very bright sound and you really don’t need any amplification in order to be heard – even in the larger rooms or outdoor. 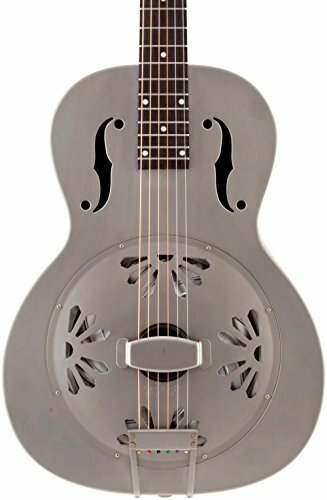 The resonator guitars are very popular amongst the country and blues musicians and they produce an incredible sound when played with a slide. Some of the resonator guitars feature a metal body. These are known as “steel guitars”. Although, this is not a very good term since there is also a Hawaiian steel guitar which is a completely different instrument. Try it! If you have a chance, try the guitar you intend to buy. You don’t have to buy it from the music shop if it’s cheaper online, but you can always go to a music shop and try the model you wish to buy. Make sure it’s easy to play. Check the action to see if it feels comfortable under your fingers. Check the neck width to see if you can reach the top strings easily. Check the body size to see if you can hold the damn thing without being uncomfortable. Select according to your style. Make sure that the guitar you intend to buy fits your music style. You don’t need a classical guitar if you want to play country, right? Check the construction thoroughly. See if the tuners work properly. See if the construction is proper. Check the adjusting truss rod. Check if the neck is straight. We will start with one of the most expensive acoustic guitars. And when I say expensive, I mean very expensive. However, the price justifies the quality. When you look at it is looks the same as any other dreadnought acoustic guitar. But, all the parts of this guitar are made of solid and high-quality tonewoods. It has a polished glossy finish and hand-fitted dovetail joints. The body of this guitar is made of solid rosewood sides and back and solid Sitka spruce top, giving it an incredible resonance and tone. Also, the top is bound in grained ivory and it features a high-gloss finish. The guitar is only available in natural color and it looks beautiful. Around the sound hole, there’s an abalone rosette and underneath it, there’s a tortoise pickguard that protects the top from scratching. The neck is made of a high-quality hardwood and it has a low profile as well as a dovetail joint. This incredible neck is complimented with a solid ebony fingerboard that has 20 frets on it. The inlays are in shape of a snowflake which is a nice little addition to the great look of this guitar. The bridge on this incredible guitar is made of solid ebony and it has a belly shape. Also, it has a bone nut. As you can see, this guitar is made of top-notch materials and everything is solid. Expensive? Yes… Worth? Oh, yes! The next guitar on our list is a classical guitar. But this nylon-string guitar is simply incredible. It has an incredible tone, it looks good, and it plays like a butterfly. The first thing you feel when you take this guitar is the incredibly comfortable mahogany neck that stands together with a harmonic richness that resonates from the solid cedar top. Simply incredible. You can let your fingers fly over the rosewood fingerboard, all the way up to the highest notes thanks to a very convenient cutaway. This is not so often seen on classical guitars. The guitar is an acoustic-electric, which means you can plug it in and experience the clean and rich classical tone the way it’s meant to be heard. With solid cedar top alongside with Sapele sides and back, this guitar doesn’t only look great, but it also gives you an incredible tonal versatility. You can play any style your mood dictates and the guitar will deliver. When it comes to a preamp, it provides a natural amplified tone. The guitar doesn’t sound different at all, just louder. Of course, you can modify the sound if you wish with the EQ settings. It also features a built-in tuner. What is surprising about this guitar is the price… it’s extremely cheap considering the quality. I’m really not sure why they decided to make this cheap guitar under their own banner when they have the Squier. Be that as it may, this is an incredibly nice dreadnought-shape guitar with a cutaway. It’s made of laminated mahogany all the way around. To be honest, the laminated wood is not as good as a solid wood, but in this case, they did a great job and the effects of the laminate nature are minimal. The neck is a solid piece of mahogany with a nice rosewood fretboard. When it comes to electronics, Fender chooses the Fishman Isys III for this guitar. This is a pretty decent system with a nice active preamp and onboard tuner. It has a 3-band EQ that helps you shape the tone nicely. The guitar has a surprisingly nice performance considering the tonewood. However, this is something you can expect from Fender… They really know how to make the best guitars. If Gretsch knows how to make something, they know how to make jazz guitars. It’s no surprise since they’ve been making these almost exclusively for decades. What we have here is a full-size semi-acoustic archtop guitar. It’s completely made of maple, including the neck. It features a classic archtop design with all the fine details such as finely contoured f-holes. It also features a nice urethane finish. The neck feels very comfortable and it has that old-school block inlays. It looks fairly simple, but it has that recognizable classic aesthetics. When it comes to electronics, the Gretsch did something unusual here. They put one single-coil extremely close to the neck. It was a risky move but it paid off. When it comes to controls, you have one tone and one volume knob and you really don’t need anything more than that. Considering the sound, this guitar is not very versatile. It has a narrow scope of capabilities. However, what it does, it does perfectly! This guitar is an excellent choice if you want to experience the true sound of a semi-hollow archtop guitar without spending a small fortune. Now, this is a modern acoustic resonator guitar, but it seems like it’s a blast from a past. Only a few notes played on this guitar will turn your vision into black-and-white and teleport you in the Deep South. It’s a part of Gretsch’s Root Collection which is inspired by the instruments from the 1920s and 30s. It doesn’t only sound old but it also looks old. The neck is made of mahogany and it’s capped with a rosewood fretboard. The instrument is made for playing delta blues, however, it sounds great even if you play other styles on it. It’s surprisingly versatile for a resonator guitar. With its old-school sound and matching outlook, this guitar is a great choice for any blues enthusiast or anyone who wants to explore the possibilities of a resonator guitar. Since we covered 5 different types of acoustic guitars in this article, we can’t really declare the winner because each of these guitars is different. However, you can be sure that each one of the guitars we reviewed is the top choice in its category. No matter what style of music you prefer, there is a guitar on this list that will fit your needs. All you have to do now is spend some cash because none of the guitars we covered is cheap. But hey, these are the best. And the quality comes with the price.